I should preface this post with the note that I really don't know what I mean by the title. I had the word meal in my head and this is the first thing that popped in the ole brain. Try and do some free association as I move forward and maybe it will start to make some sense. 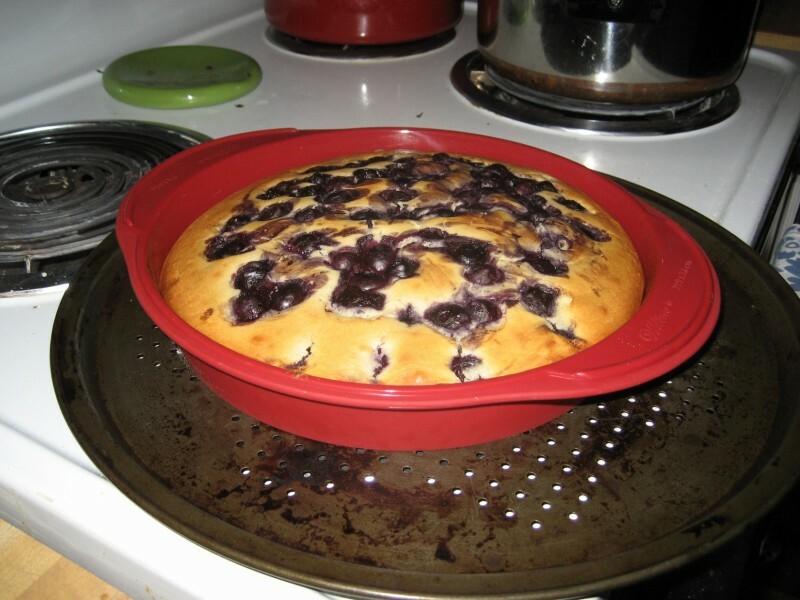 . .
Also, I decided to link to more of the recipes as opposed to making this post insanely long. Happy clicking! I'm not always a breakfast eater, but I wanted to make sure we had a stocked kitchen in the AM. 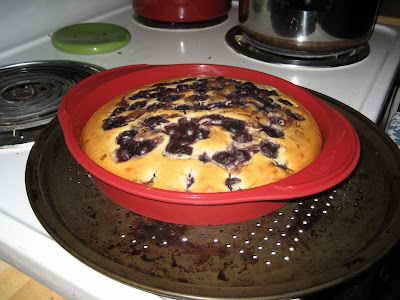 I went to a tried and true Blueberry Coffee Cake recipe from an old Cooking Light. 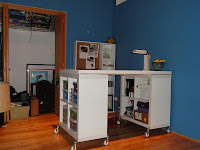 No, my kitchen didn't suddenly just downsize - this photo is from a couple years ago when I first made this recipe! We wanted to do something special for Christmas dinner, so we tackled our very first ham. After reviewing both the package instructions and the write up about smoked hams in my brand new copy of Joy of Cooking , we felt pretty good about our chances of not screwing this up. And then I realized I don't have the right kind of pan for this bad boy. We McGyver'd a roasting pan out of a tin grill pan that we folded over the edges of a 9x13. It surprisingly held up pretty well and kept all of the juices from soaking the bottom of the ham. After cooking for about 20 minutes, Bob diamond cut the ham, glazed it with a brown sugar/apple cider vinegar mixture and we threw it back in for 30 minutes. Meanwhile the ham was sharing the oven with a cheesy friend. My go-to Mac and Cheese recipe is insanely easy (read all about it in this post). I stepped it up a notch after seeing this Martha recipe for a "Classier Mac" via the Smitten Kitchen blog. Gruyere, white cheddar, a lovely cream sauce and topped with breading. It was delish, but definitely take Smitten's advice and halve the recipe. We had plenty of leftovers even with 5 people at the dinner table! If you are looking at the ham and also thinking that was more than enough for 5 people you would be correct. We decided to use some leftovers for an egg bake we prepared for the next morning. I had this ham and egg bake at a friend's holiday brunch and was very glad to get the recipe last minute via email to make this one! Beat with mixer: 7 eggs, 2 cups milk and ¾ tsp seasoning salt. In buttered 9x13 pan, alternate layers of bread, ham and cheese. Then pour egg mixture over all. Cover and refrigerate overnight. Bake uncovered at 350 for 45 minutes. The next night we had plenty of leftovers, but we substituted grilled chicken for ham. The basil aoili was a repeat from our Labor Day get together (recipe here). A little grated Parmesan over the top. Yum! I did spend some of the holidays out of the kitchen, luckily, but it was fun to come up with several menus for the week. I think we saved some money by not eating out every meal, and by doing things ahead of time like the cookies or the egg bake we saved some of the hassle. By the end of December and the above recipes, we had used up 18+ eggs, a loaf of bread, pounds of cheese, the rest of my flour and a freezer full of meat. Now that it's January and the belt-busting holidays are over, maybe its time to revisit my "run a 5K goal" and get myself back into shape!